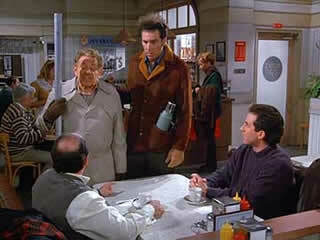 Merry Festivus to all, and Godspeed during the Feats of Strength. Keep Calm, and Trade Crypto. Red Capitalism in reality is just a rebranding of debt based infrastructure led growth. China over the past 30 years has engaged in one of human civilisation’s largest and fastest expansion of credit. The results thus far have been astounding. From backwater dumps, tier 1 Chinese cities are dotted with the latest trendy restaurants, luxury shops, and night clubs. For shopping, eating, and boozing, Shanghai is one of my global favorites. Unfortunately, China is becoming saturated with too much debt and Non-Performing Loans (NPLs) are rising quickly at the state owned banks (SOE banks). SMEs are completely shut out of bank credit because SOE banks like Bank of China, ICBC, ABC, and China Construction Bank must roll the bad debt generated by SOE industrial firms. With global growth stagnating and nominal GDP growth collapsing in China, NPLs are rising quickly. One of the hottest areas of Chinese FinTech is the P2P lending industry. The hottest startup in China and globally right now is PingAn backed Lufax. Lufax is the premier Chinese P2P lending platform. The bloated loan books of the banks are now being securitised and sold to retail and institutional investors through platforms like Lufax. This model is proving so profitable and popular, Lufax is on track to raise $1 billion in its Series B round at an $18 billion valuation. Chinese investors can also buy distressed loans straight from Taobao. Huarong intends to sell CNY51.5 billion via Taobao. These loans carry high interest rates and the Chinese public is hungry for assets that generate real returns. As the NPL ratios increase, the PBOC must encourage more investors to travel further out onto the risk curve. The greater the credit risk the greater yield on a fixed income investment. How does a central bank create demand for dodgy credit, they lower the benchmark interest rate to force investors to reach for yield. Investors in China assume (quite rightly up until now) that Beijing will force someone to roll over bad debt so that no defaults actually occur. Outright defaults are masked through a crowding out of private credit and inflation. As more and more Chinese corporates default on their loans, the banks’ balance sheets will become bloated with NPLs. The PBOC will be tasked with lowering the benchmark interest rate and the Reserve Ratio Requirement (RRR) for banks. Taken together, these measures stoke inflation and weaken the CNY vs. other currencies. Hot money that flooded China to take advantage of higher nominal rates will flee just as quickly as they cannot generate real returns when swapped back to USD or another G10 currency. Bitcoin is priced in CNY. A weaker CNY will lead to a stronger Bitcoin. The slowdown in global growth’s impact on bad loans in China is positive for the price of Bitcoin. Expect further interest rate cuts in the near future as China battles the onslaught of corporate defaults. The popularity of P2P lending platforms like Lufax and Taobao will grow, and it is a signal of the government’s policy towards stuffing the general population with a portfolio of poorly underwritten debt of underwater industrial firms. Janet Yellen finally followed up on the promise to normalise interest rates via a 0.25% rate increase in the Federal Funds Rate. The true effects of this credit tightening event will start being felt as the Fed drains liquidity from the markets. I believe that the global markets do not fully appreciate the pain that will be inflicted upon asset classes when the flow of liquidity reverses directions. Because most financial assets are traded with borrowed money, when the funding leg of the carry trade becomes more expensive traders must cut positions abruptly. The Fed put the brakes on QE and began tightening monetary conditions in 2015. The below table lists Year To Date returns of some bellwether assets. All these assets are priced in USD. Anyone who claims that the Fed’s flow of money has had no impact on the financial markets should read this table. 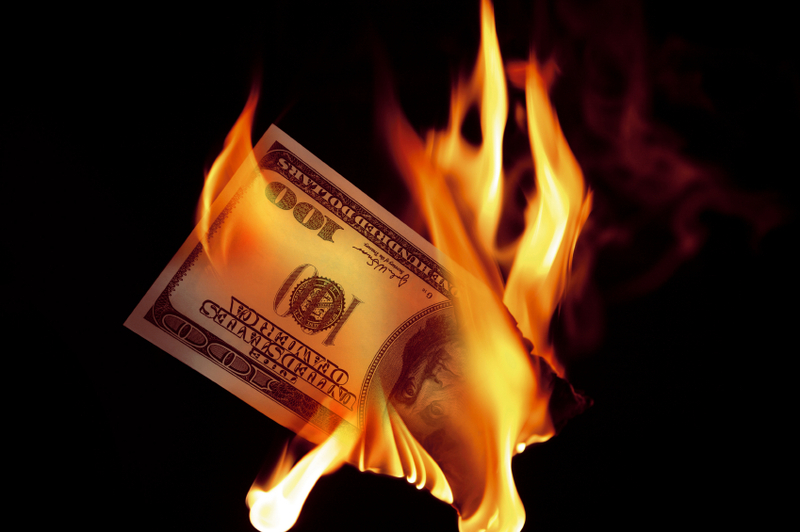 The world dollar economy is addicted to a constant flow of cheap credit. As the Fed continues tightening (they forecast 4 rate hikes in 2016), dollar asset returns will turn even uglier. Bitcoin is finally exhibiting the qualities of a safe haven asset. If you believe that at a minimum the Fed will not restart QE any time soon, 2016 returns of USD denominated global assets spare Bitcoin will continue declining. It will take a shock to the markets, especially the S&P 500, to force the Fed to reverse course and flood the world with dollars once again. 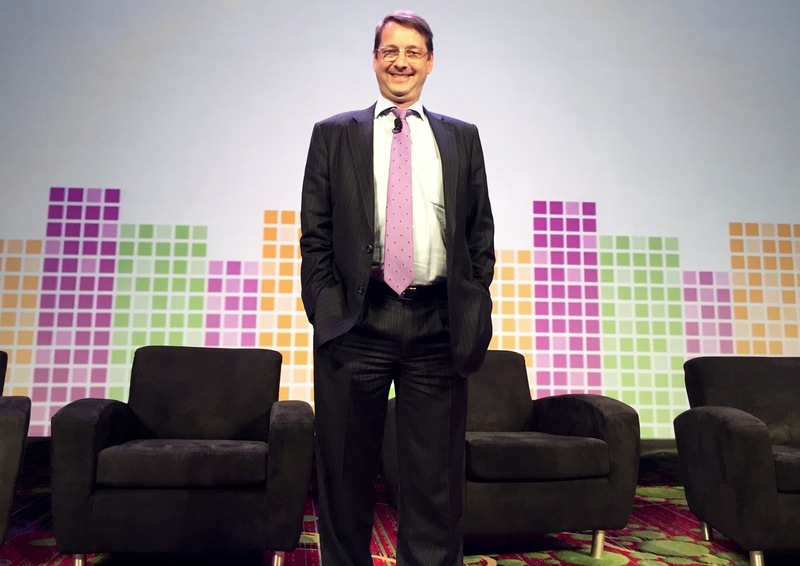 Bitcoin is poised for a breakout in 2016 against a favorable global macroeconomic trends. BitMEX will be listing a June 2016 futures contract, XBTM16, this week. Investors who agree with my arguments should buy this contract. This past week, the CNY devaluation continued. CNY depreciated 0.49% WoW. 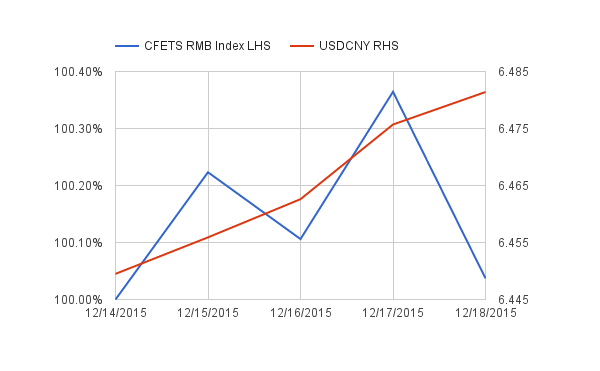 However, the all important CFETS RMB Index barely moved. If Beijing is really serious about regaining trade competitiveness, the PBOC will have to accelerate the CNY devaluation. The slow and steady approach is not yielding the desired result. The CNY continues to strengthen against its major export competitors. Chinese New Year occurs in early February 2016. Banks will be shut February 7th to 13th. If the PBOC is waiting to exert the maximum shock and awe, a massive devaluation over the lunar new year is the perfect opportunity. Trading the BitMEX 25x leveraged March 2016 futures contract provides a perfect way to play a shock devaluation during Chinese New Year. After a comatose weekend, Bitcoin reawakened with an early Monday morning dumpfest. The price plummeted into the mid 420’s, and is now retracing the move. The global macroeconomic outlook for Bitcoin has never been more favorable. The recent plunge is welcome news to bulls with the cojones to step up and increase their long positions. $400 still stands, and the path has been cleared for another attempt at $475 then $500. With Festivus and the New Year approaching in the next two weeks, expect strong moves on thin volumes. Daily 100x XBT24H Futures: Buy XBT24H with an upside target price of $450. Weekly 50x XBT7D Futures: Buy XBT7D with an upside target price of $475.